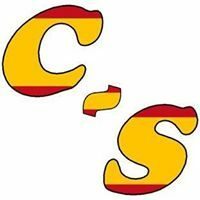 ConvoSpanish offers Individual Spanish Conversation Classes to students who are looking for a personalized one-on-one time setting online class while practicing their conversational skills. These classes are a great option for people looking for a customized program, since all the classes can be tailored to your needs. Also, for those who want to learn at their pace, and improve in a shorter amount of time. Online one-to-one conversation classes Spanish (Skype or Google Hangouts). Spanish native speaker from Spain as a tutor. Classes of 30, 45 and 60 minutes are available starting at $12. Choose between one single class or one of the four different class packages (5, 10, 15 or 20), which include a discount. A laptop, desktop computer, a tablet or smartphone. Once you have made the payment, go to the Calendar page to schedule your classes.